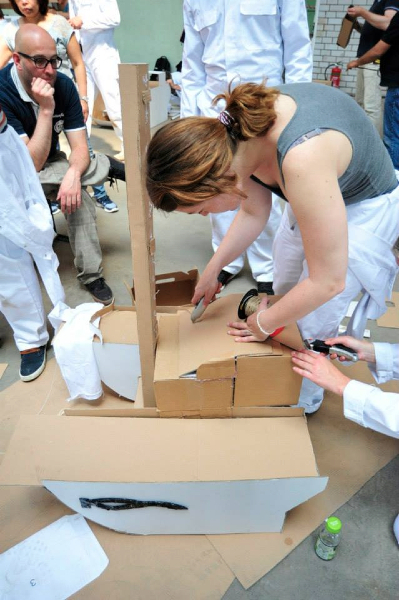 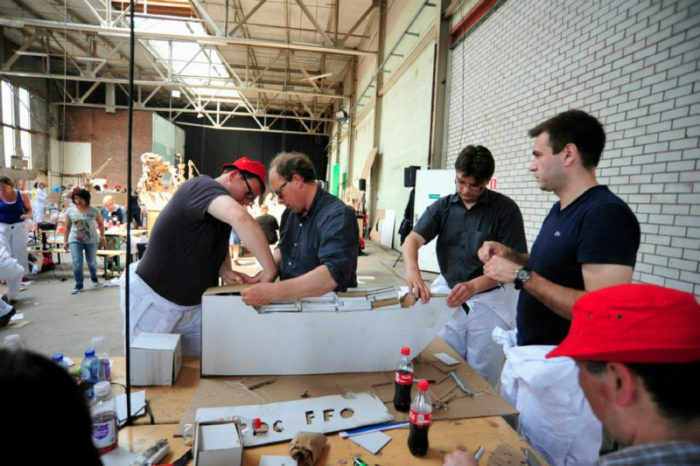 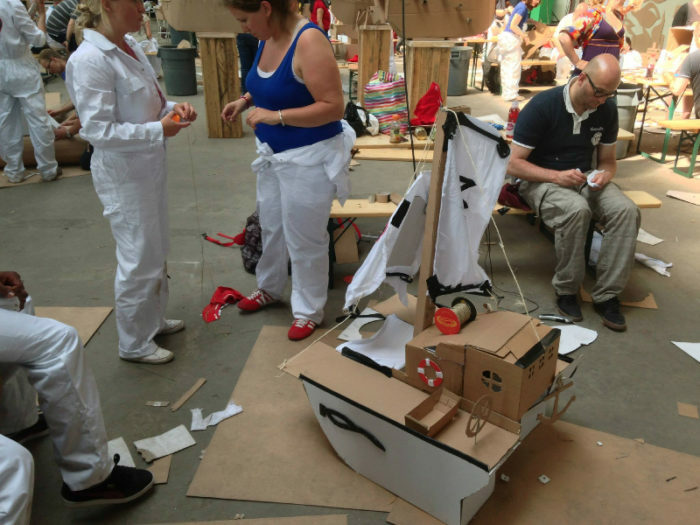 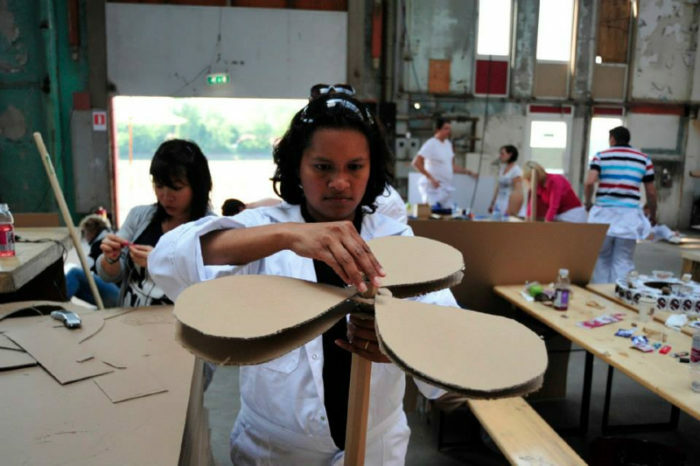 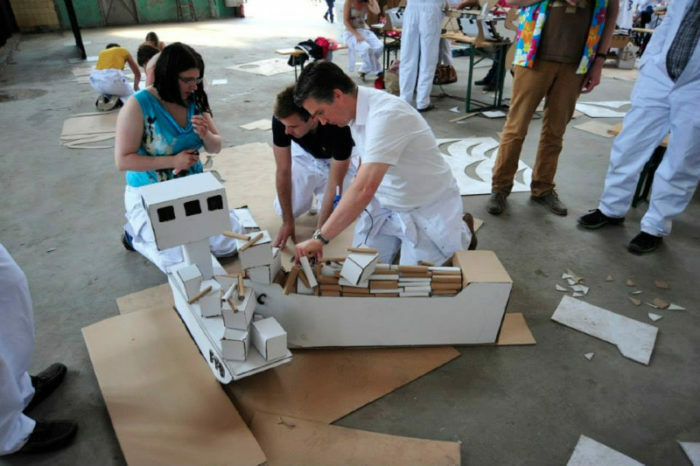 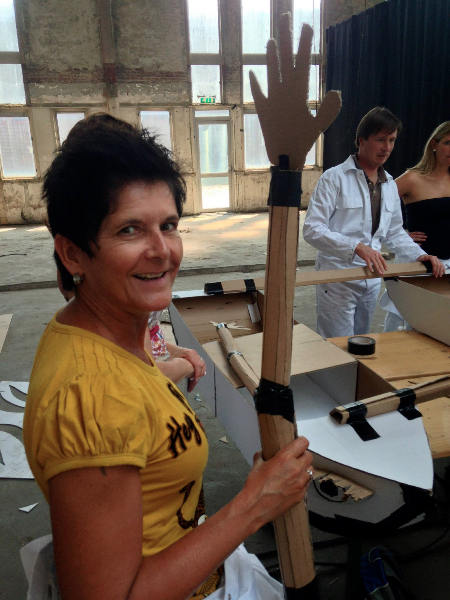 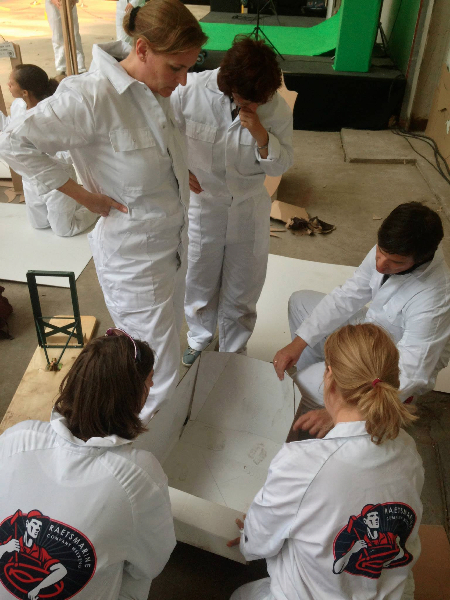 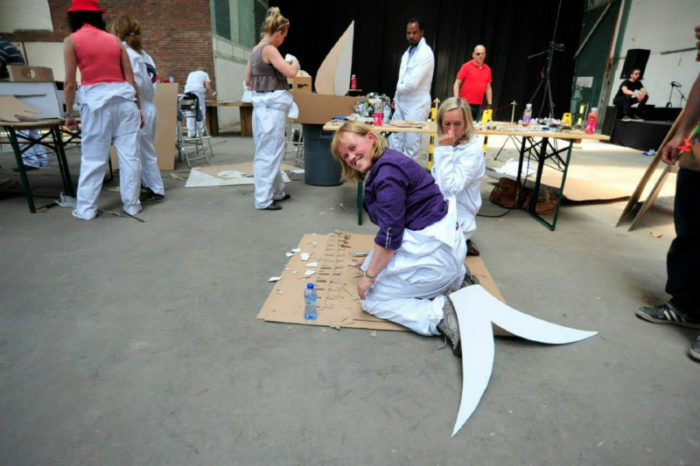 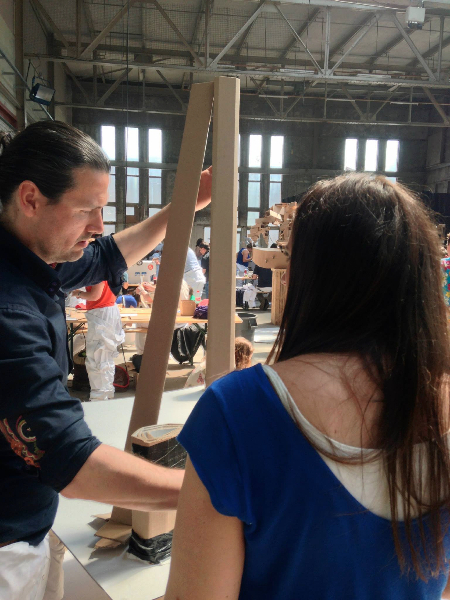 Building boat models: Workshop in Rotterdam Harbor! 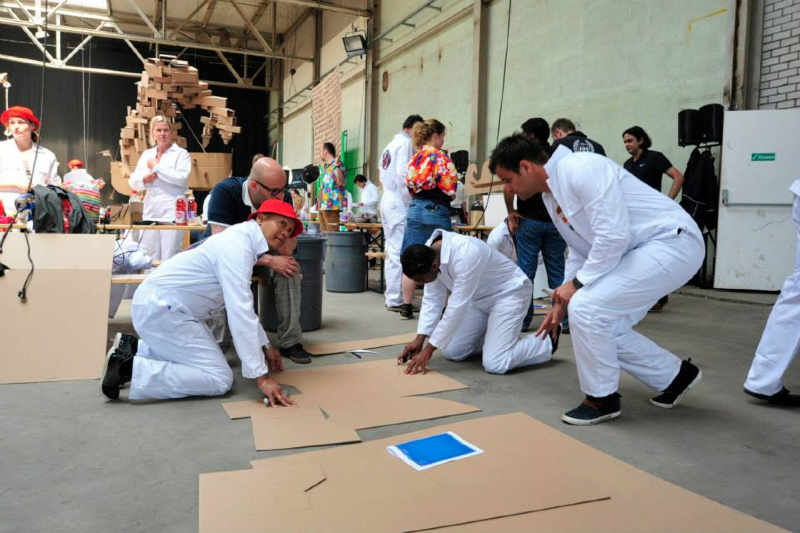 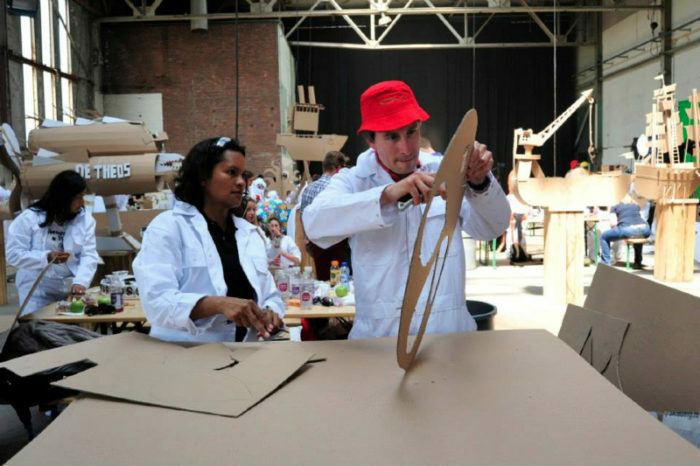 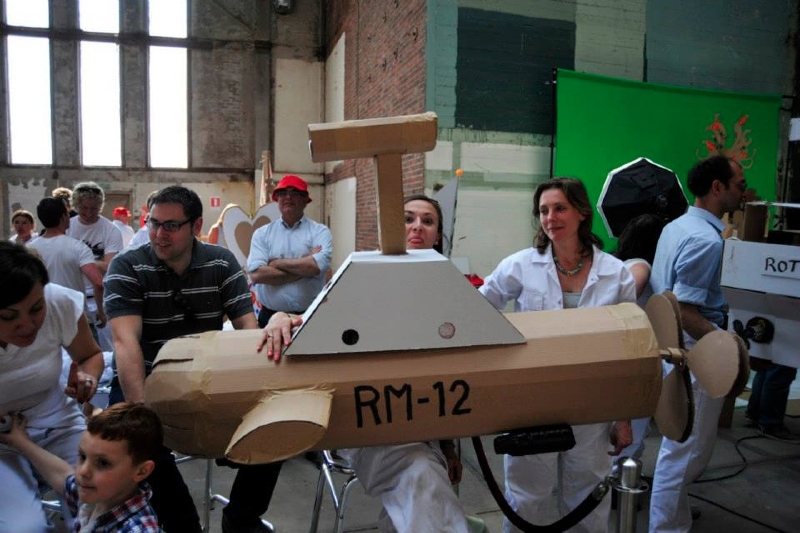 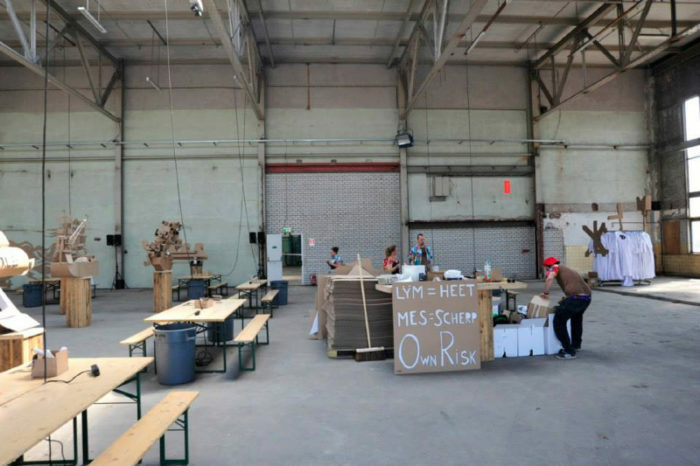 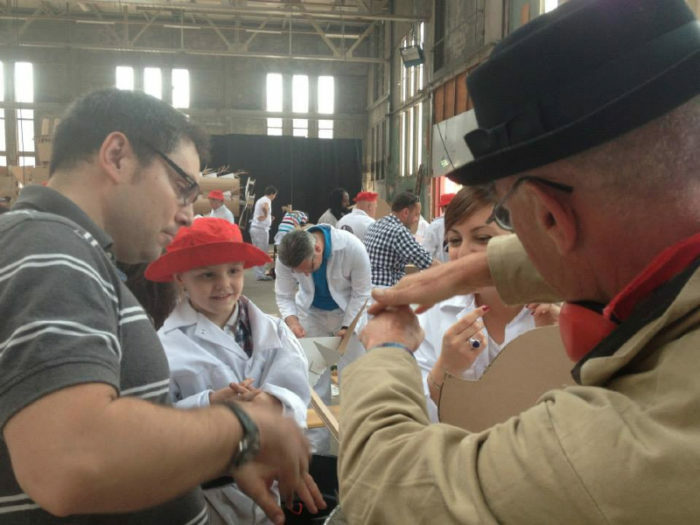 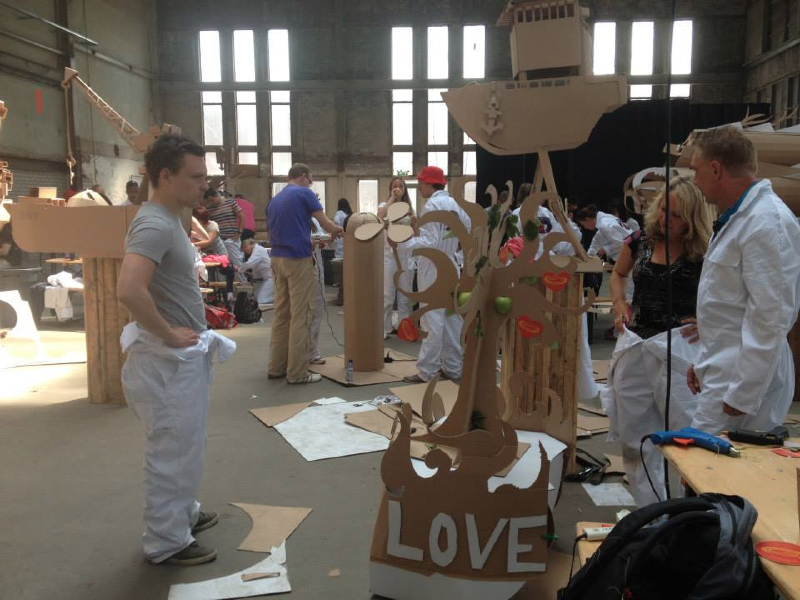 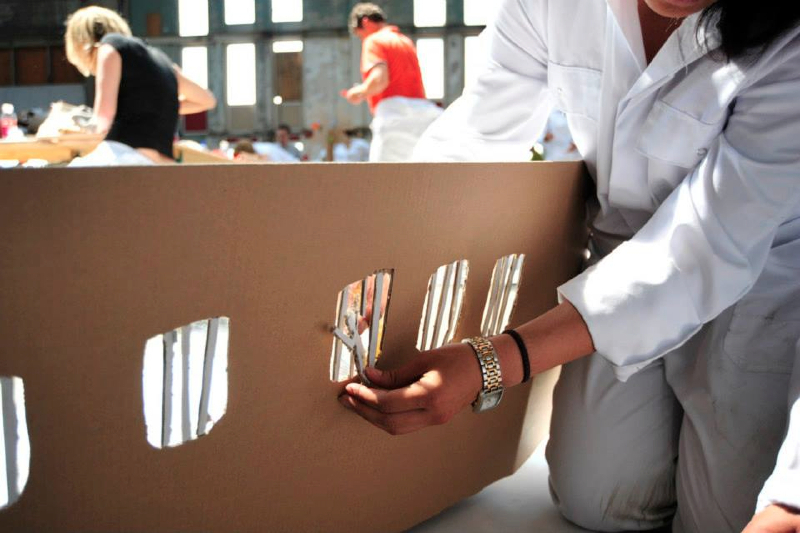 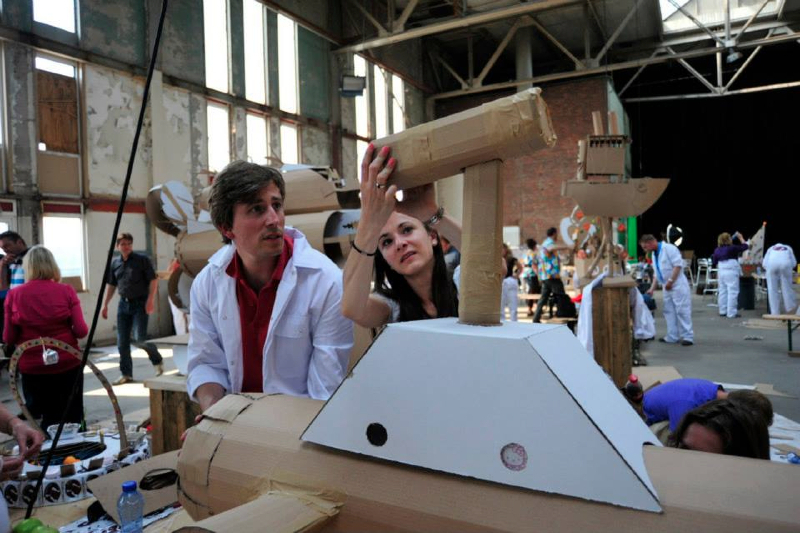 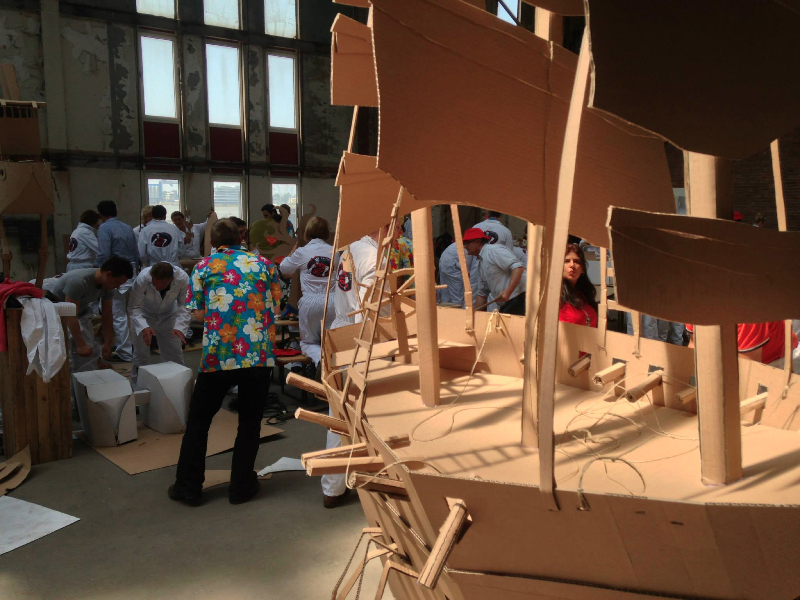 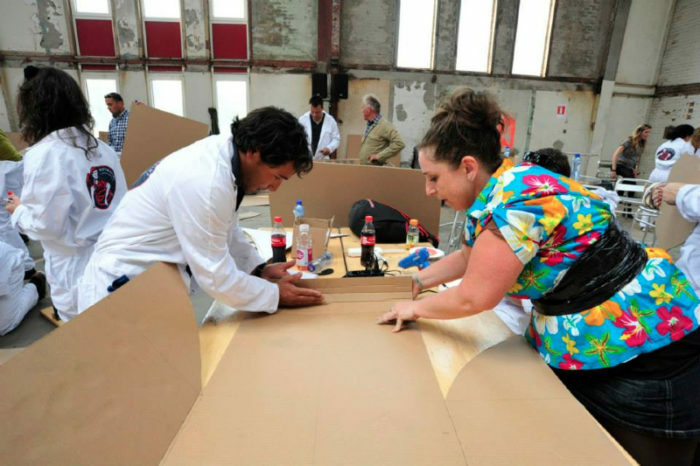 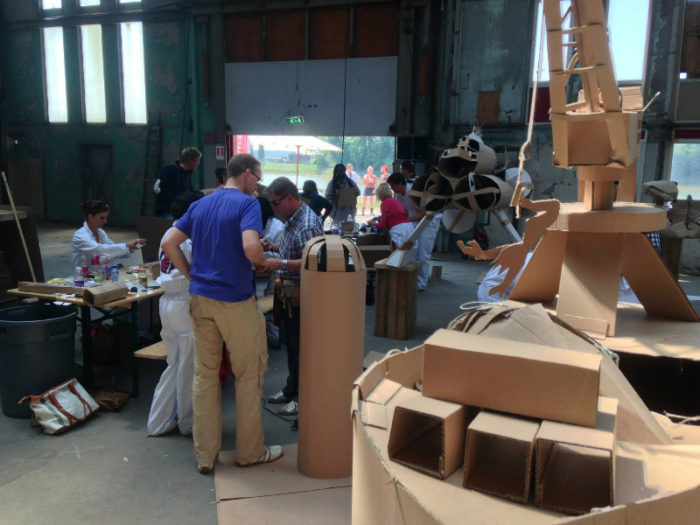 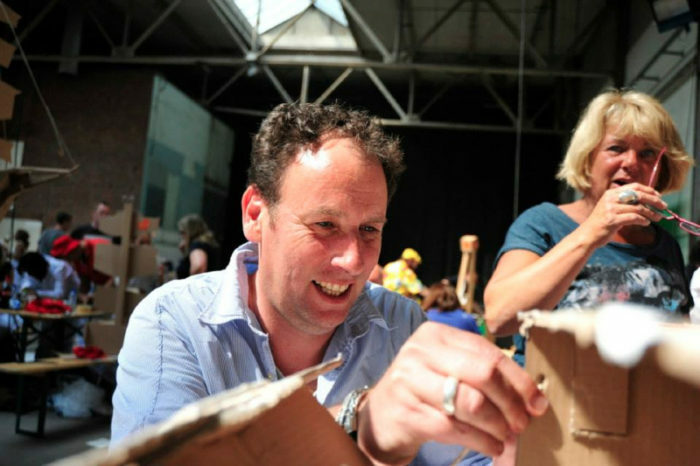 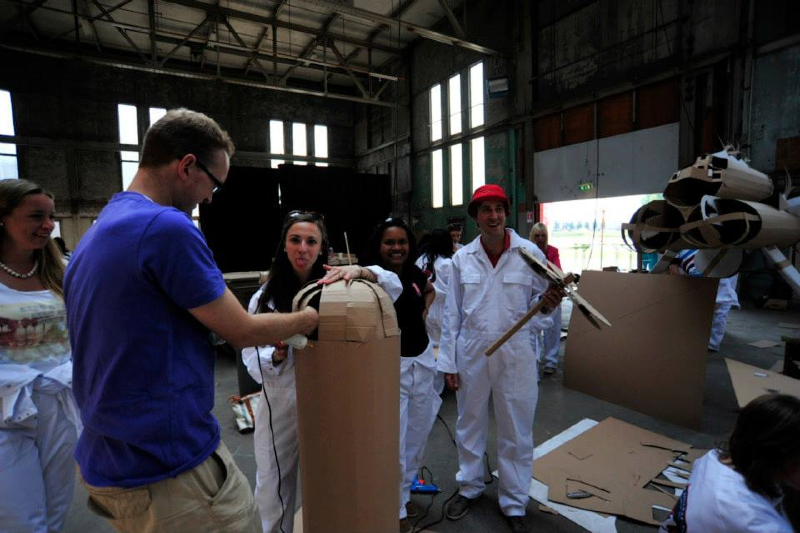 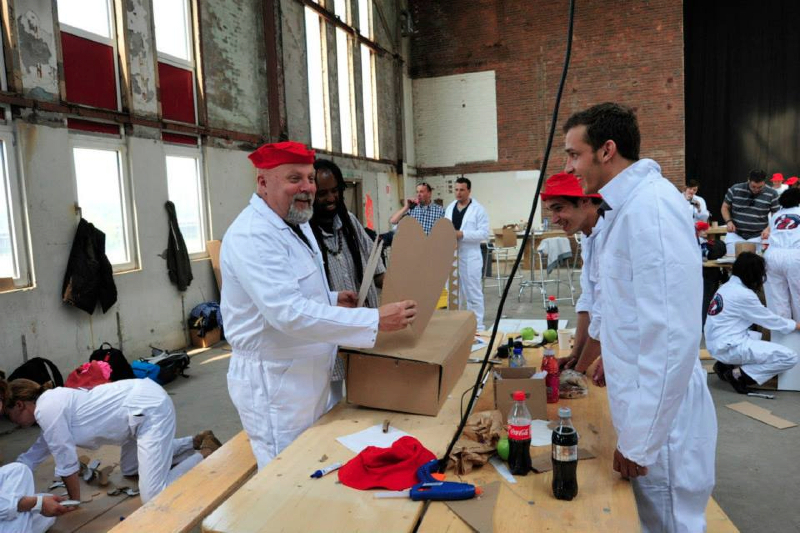 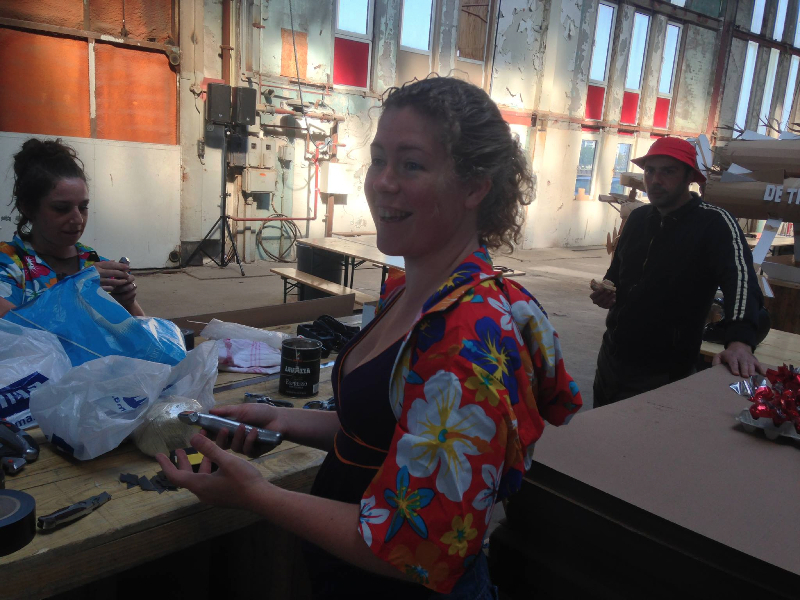 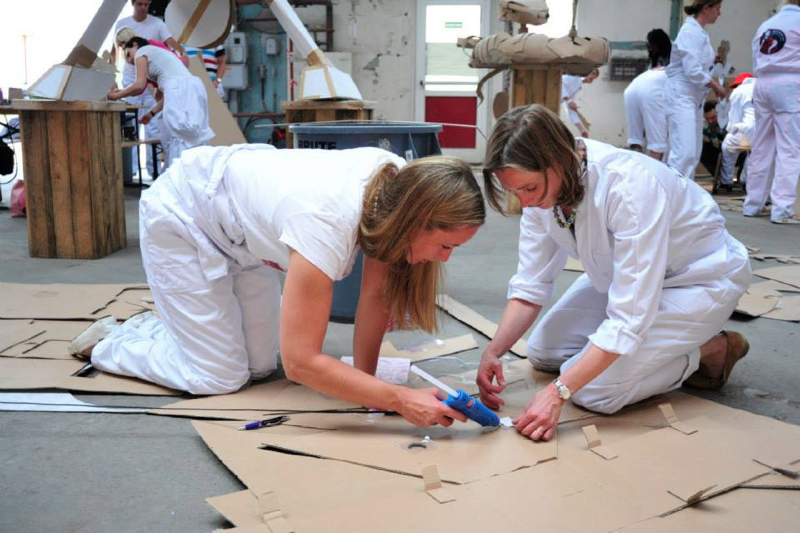 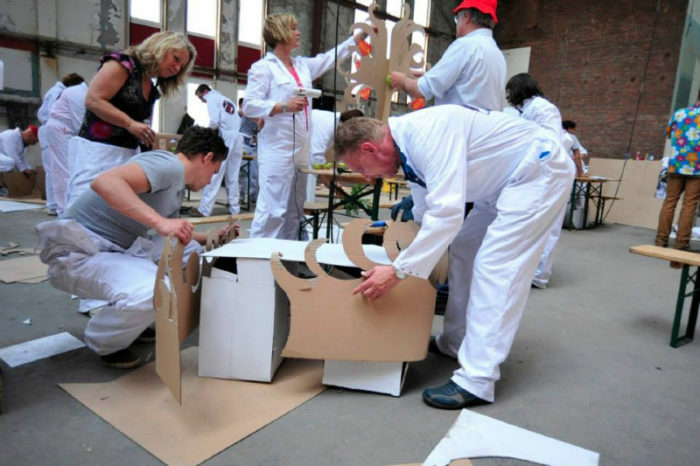 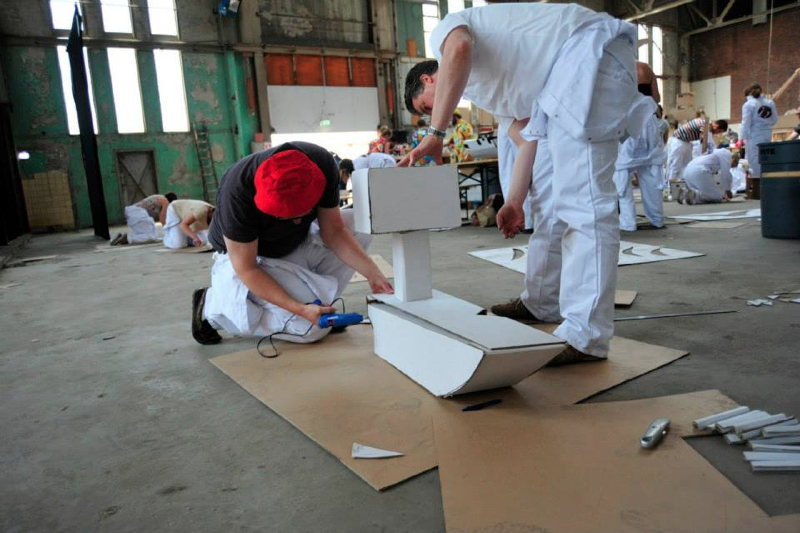 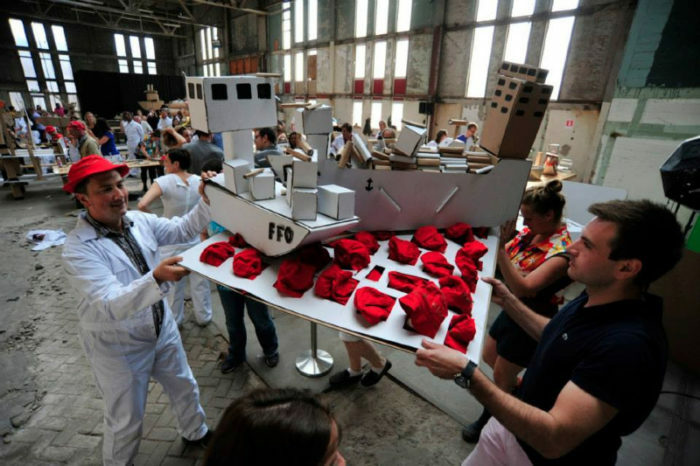 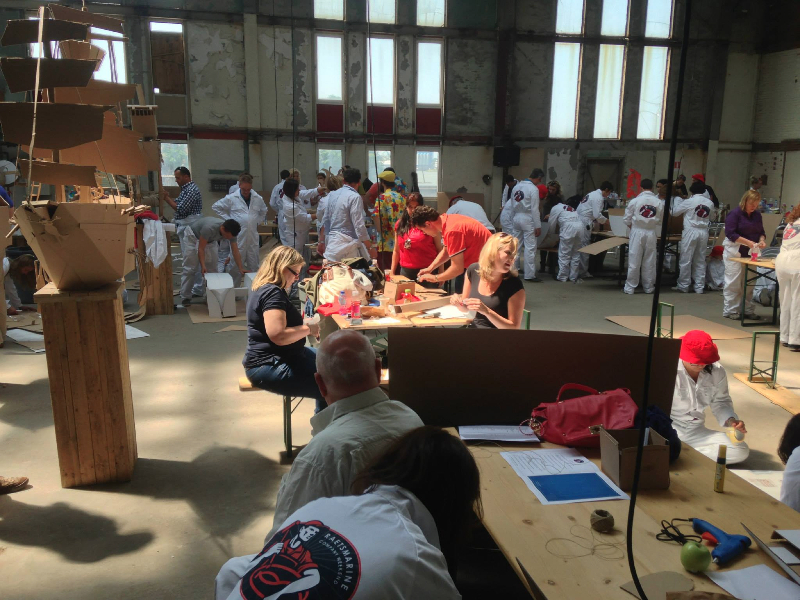 Buijs Events asked us to make a Cardboard Model Boats workshop in a beautiful old building in the Rotterdam Harbor! 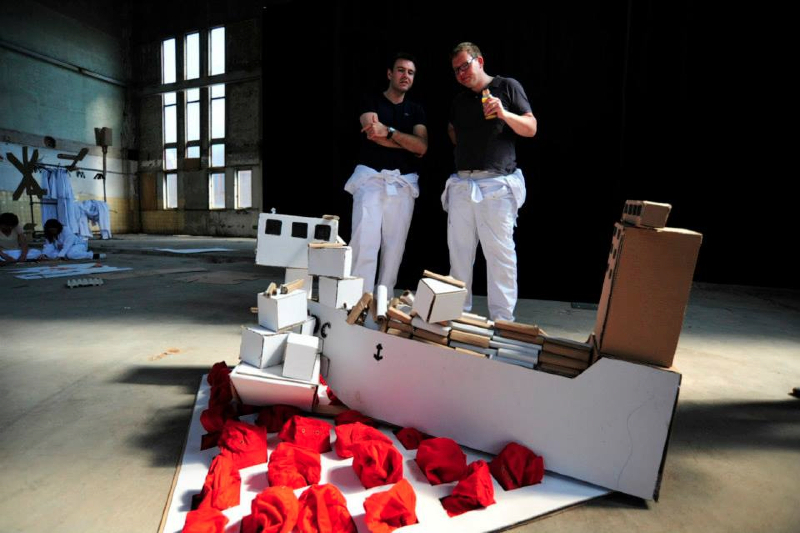 We didn’t stop after building the boatmodels. 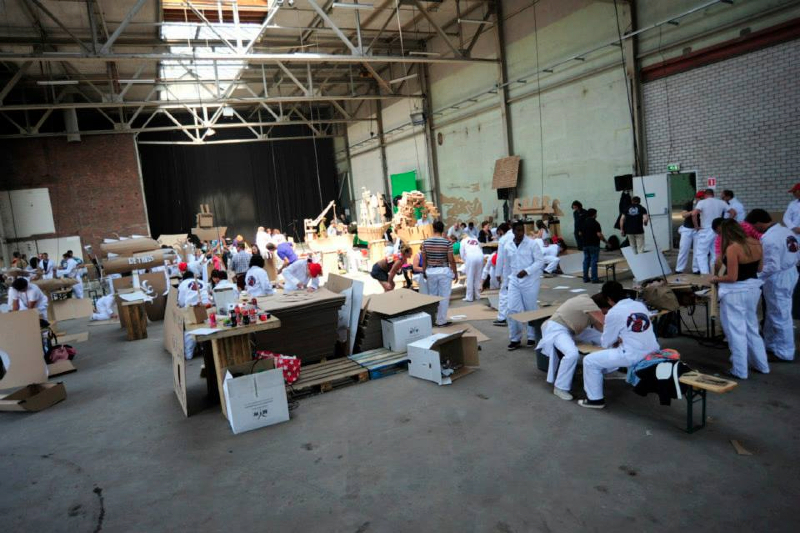 We made video’s of all the groups of builders (120 builders!) 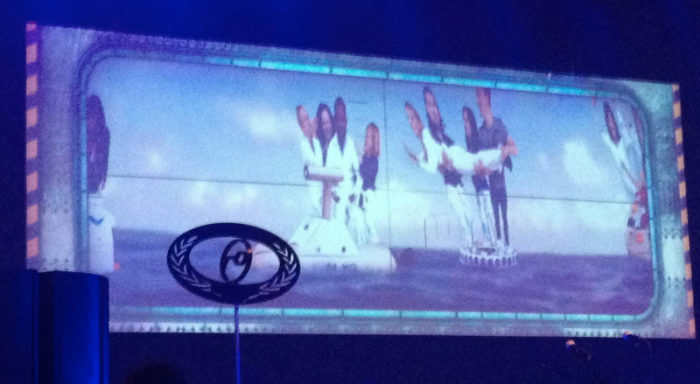 pictures of the boats. 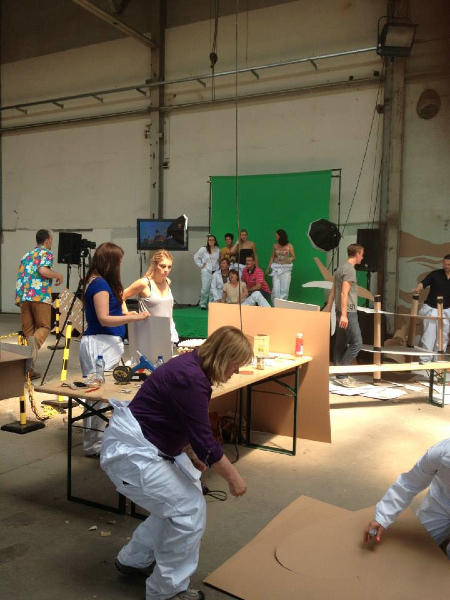 In the party afterwards we showed the animation we made of this with some other animated vj-goodness (which is our actual profession besides cardboarding). And ofcourse the boats we’re floating around nicely in the grid above the party. 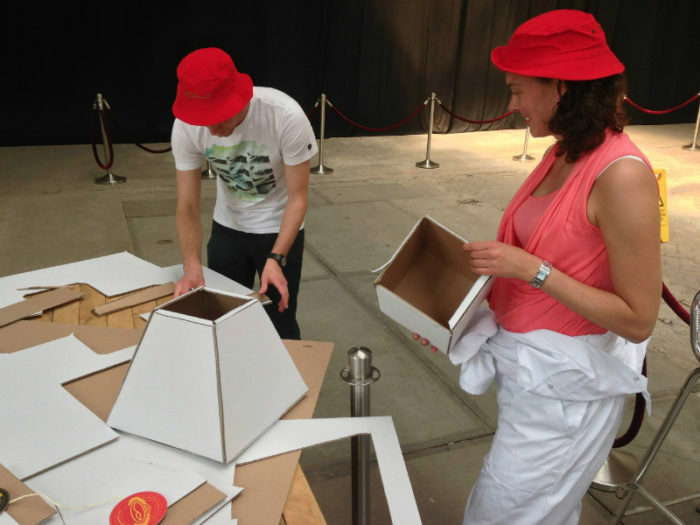 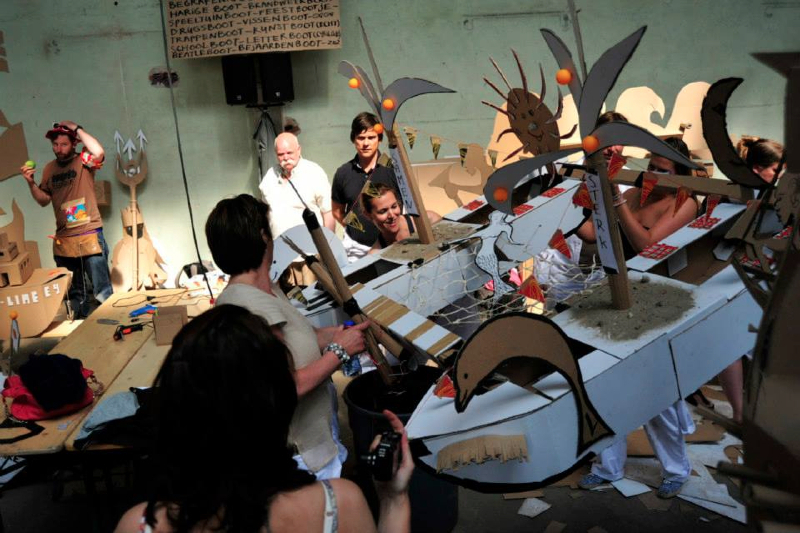 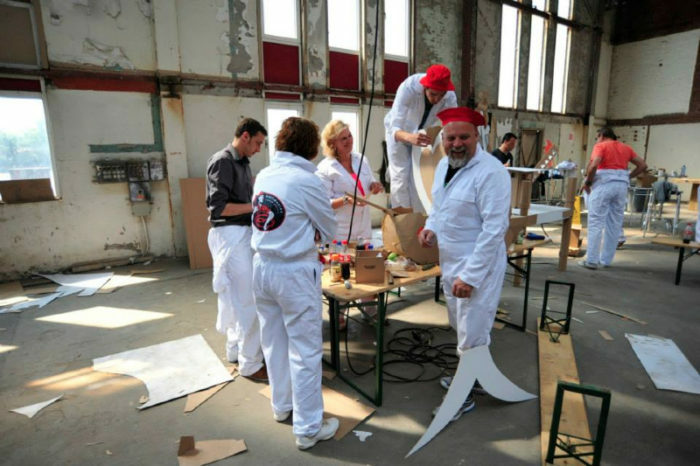 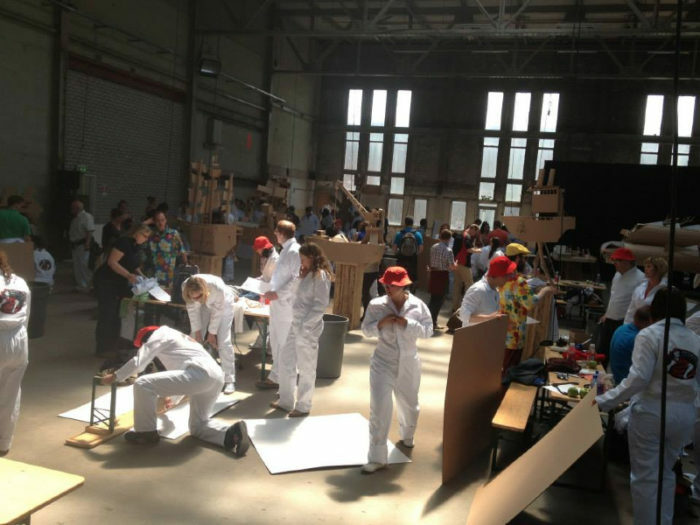 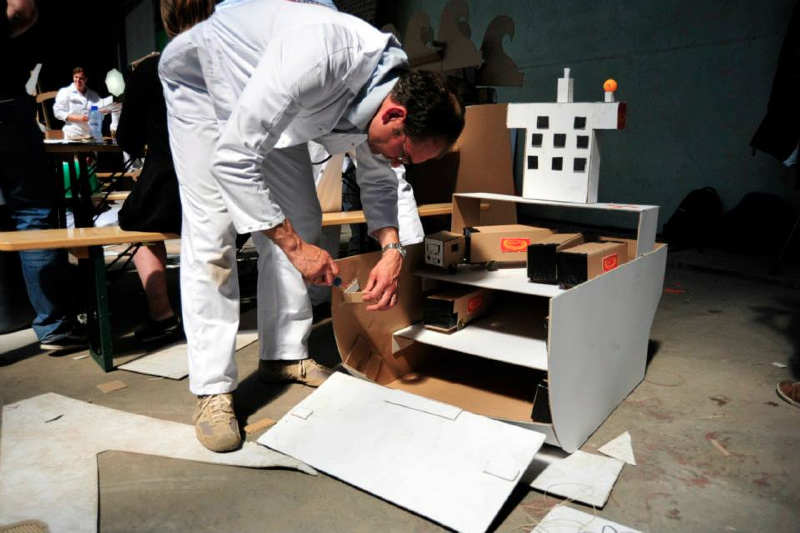 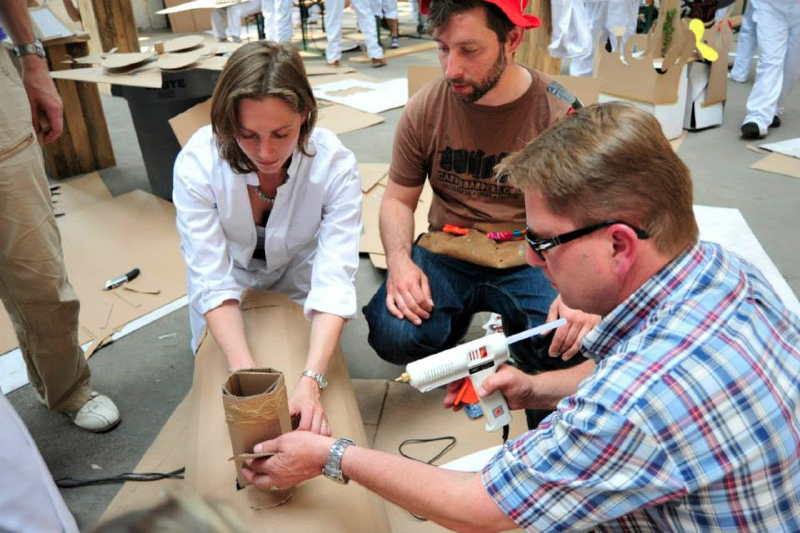 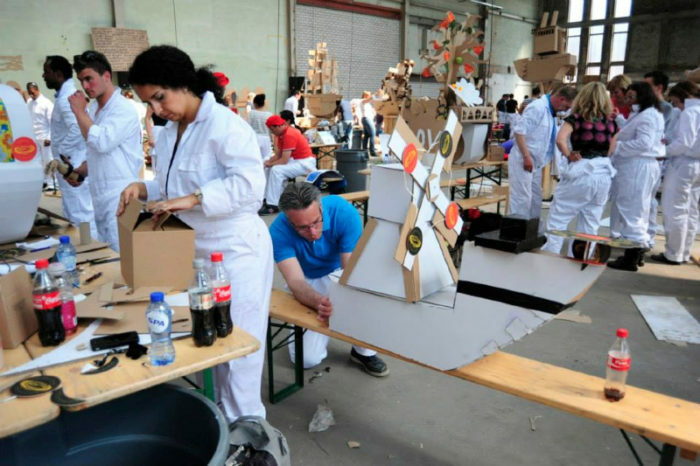 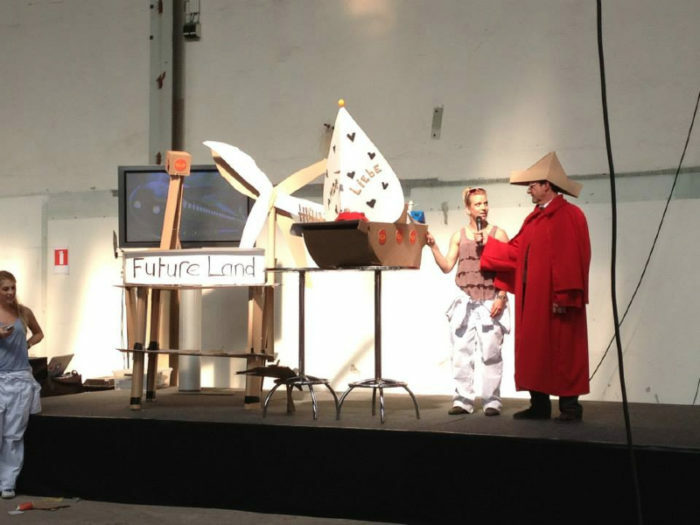 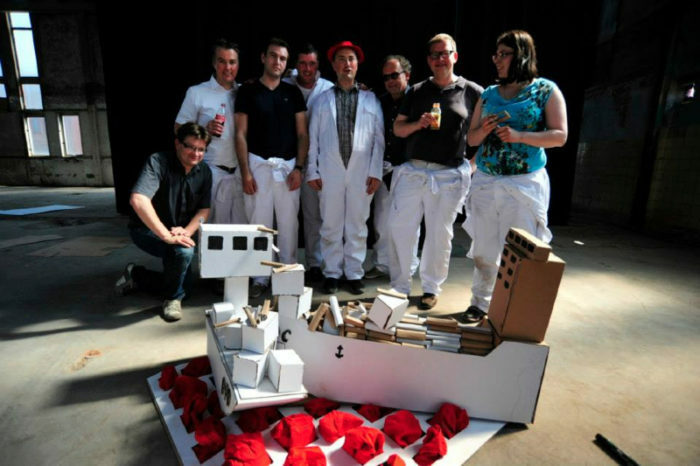 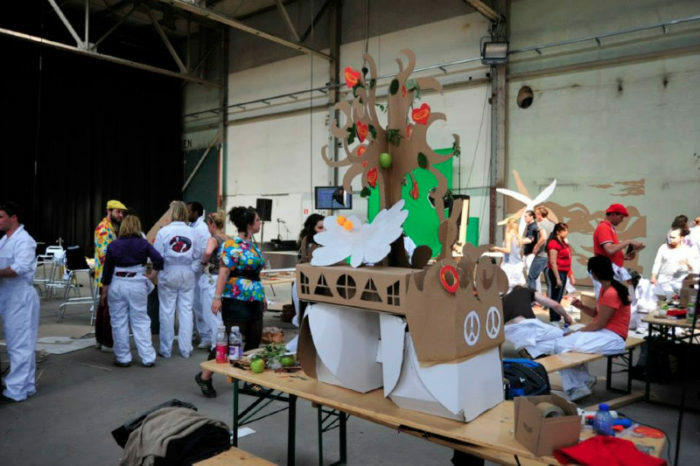 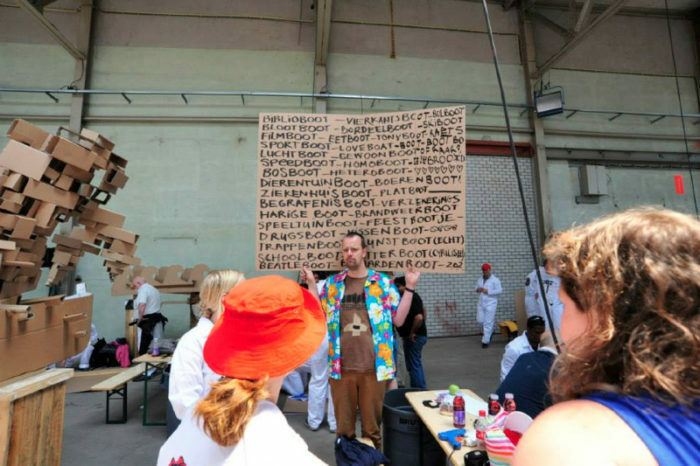 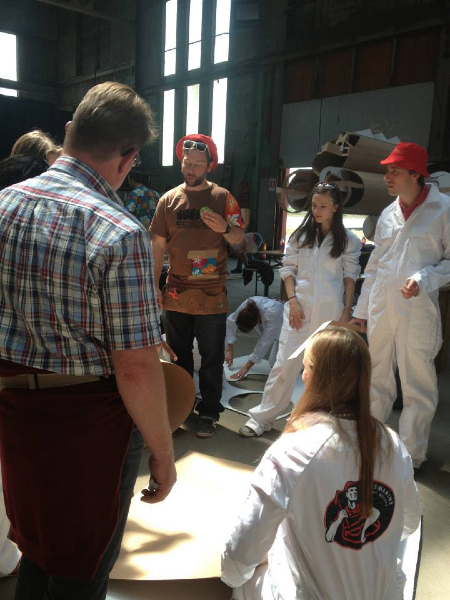 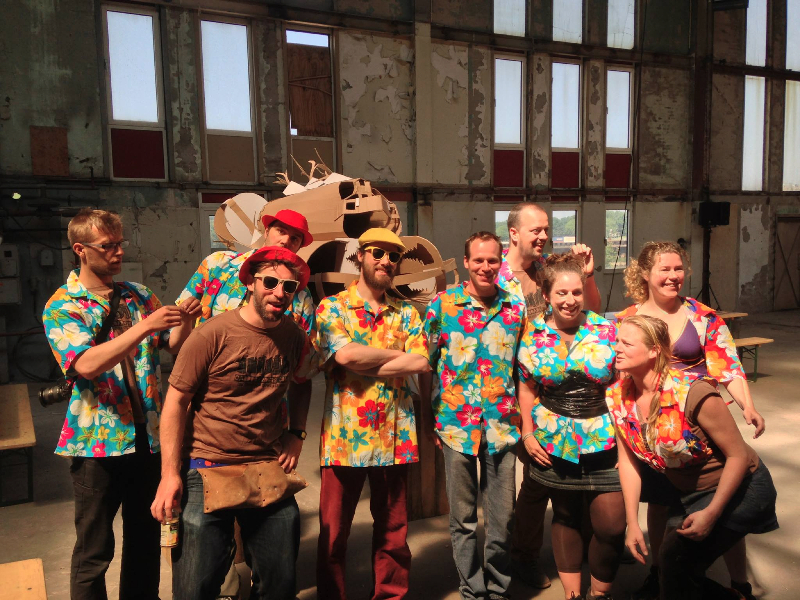 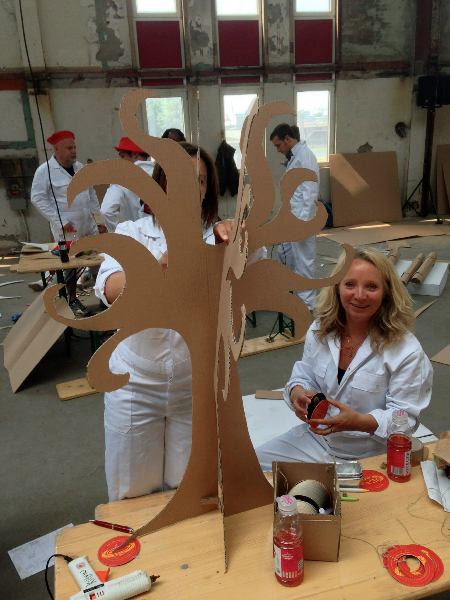 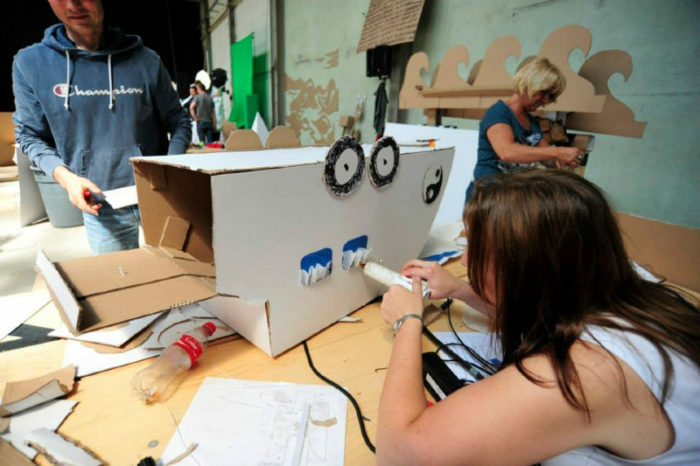 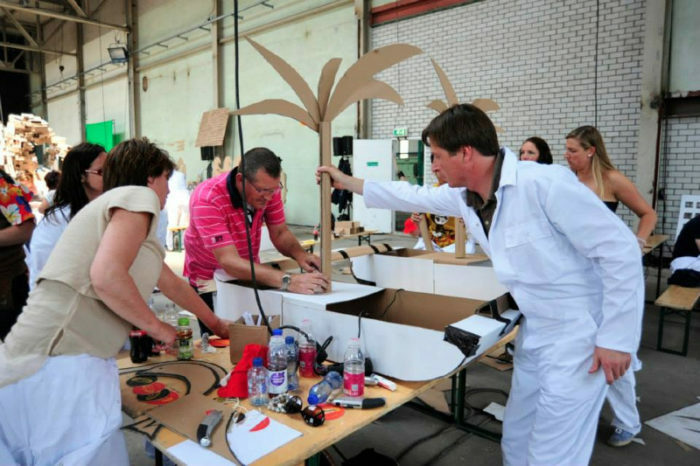 The cardboarders team for this project: Astrid van der Velde, Janneke Stegink de Graaff, Josephine Beijer, Albert Kannemans, Edo Sutherland, Koos Schaart, Jeroen Funke, Michael Veerman, Niek Das en Mathijs Stegink. 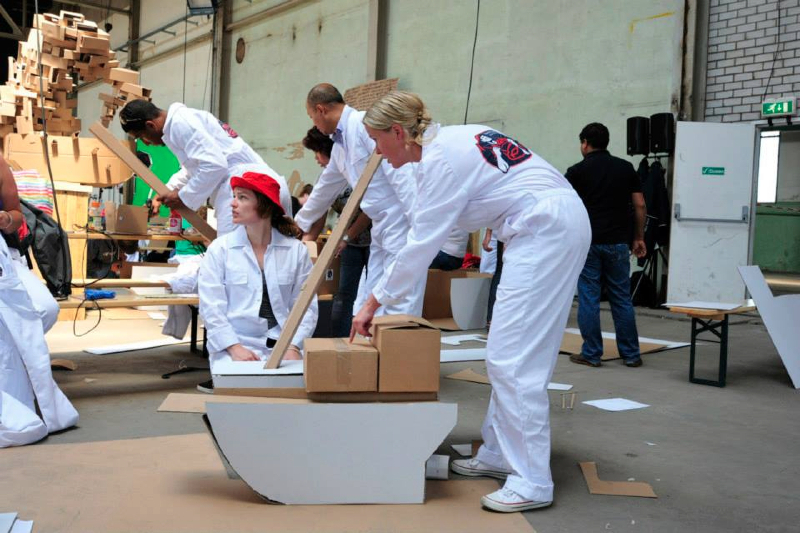 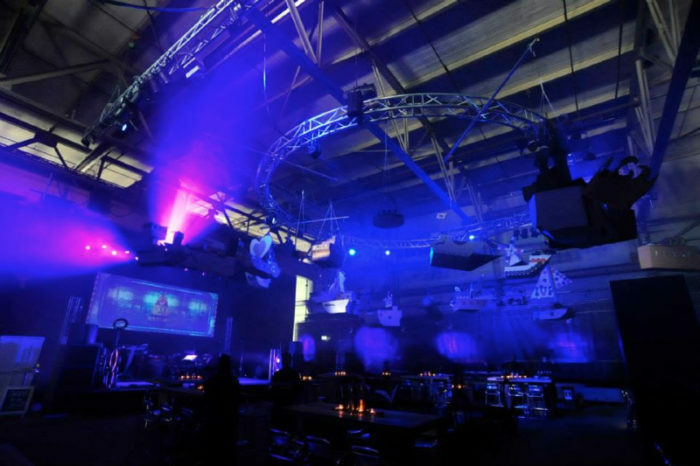 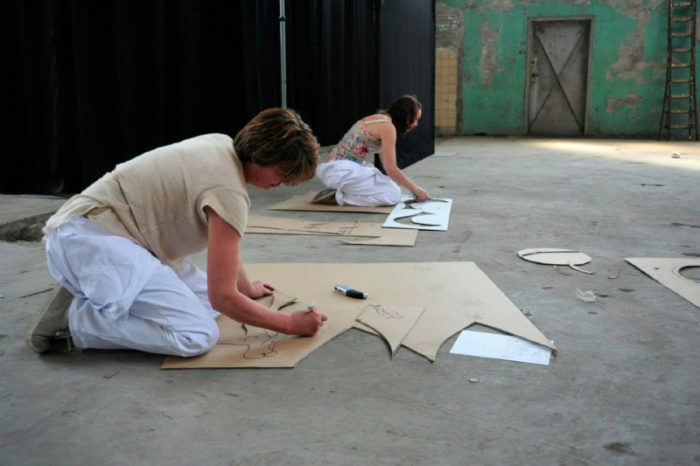 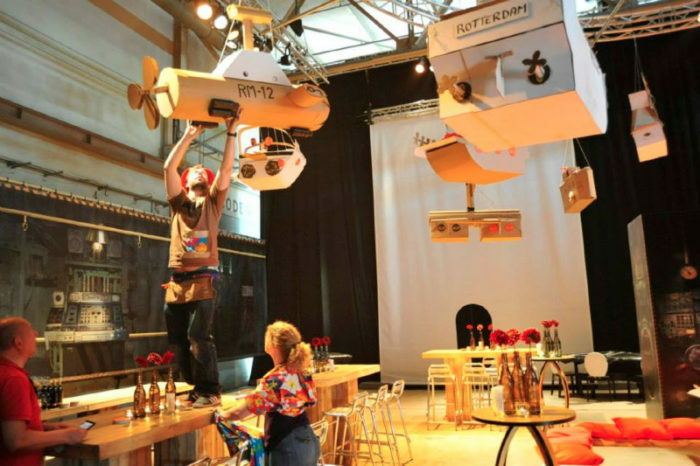 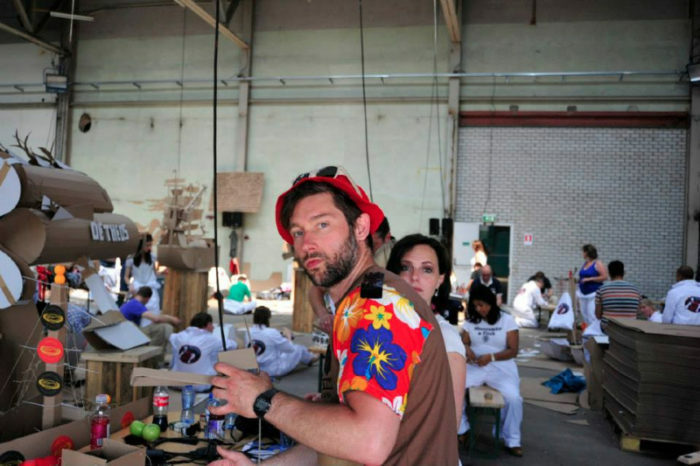 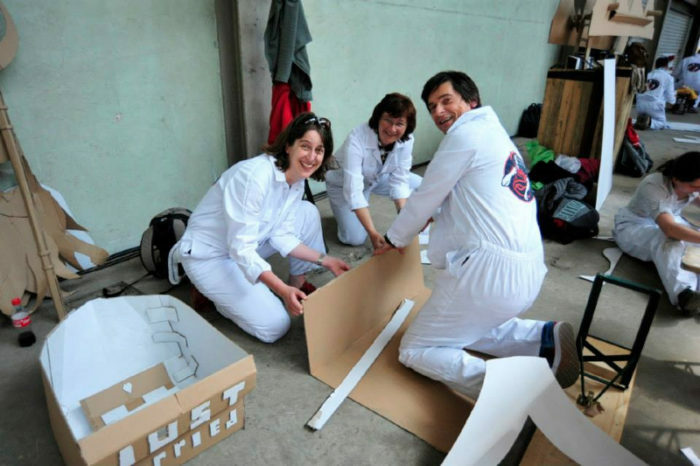 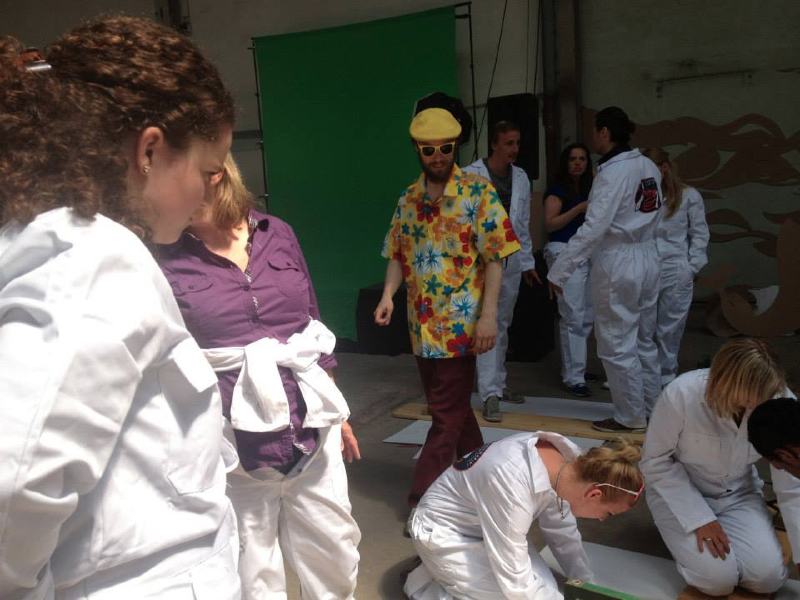 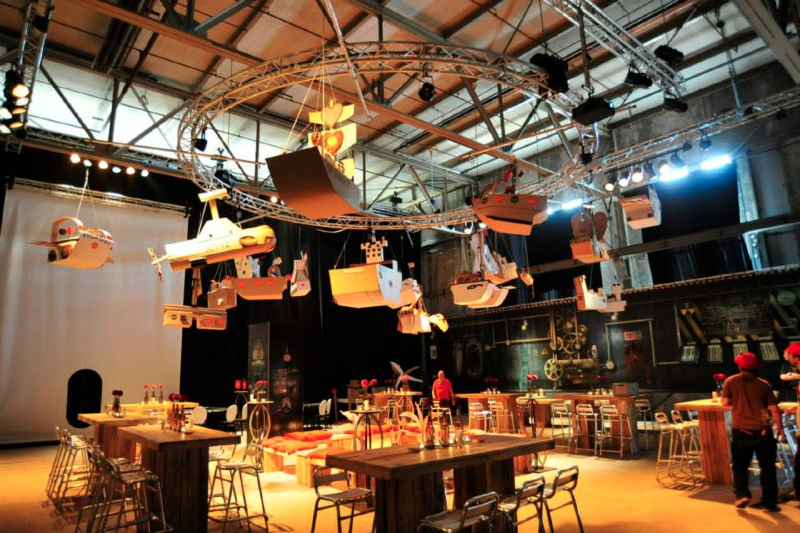 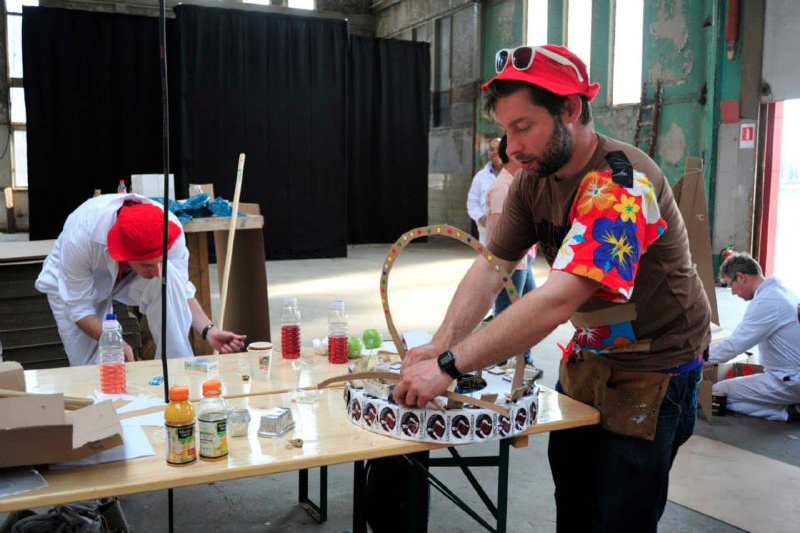 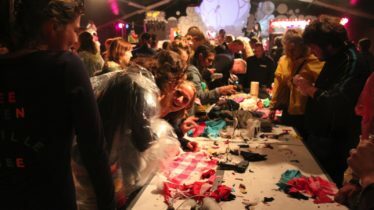 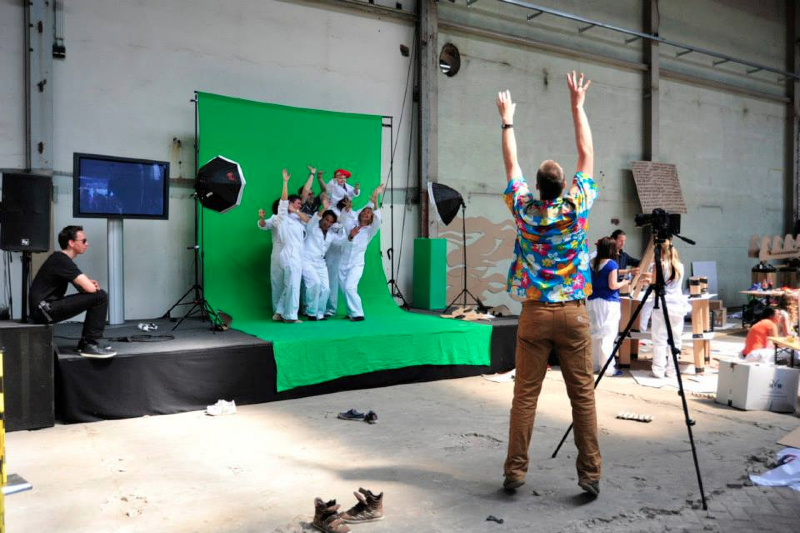 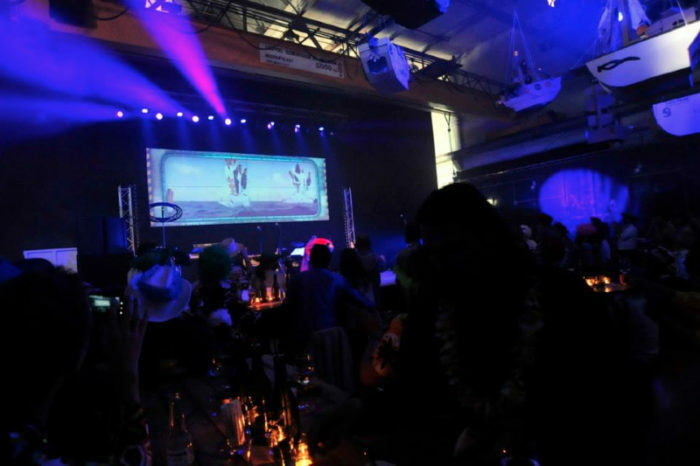 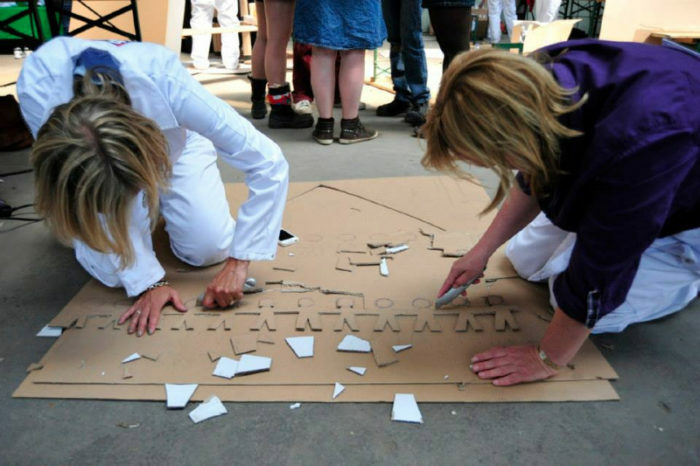 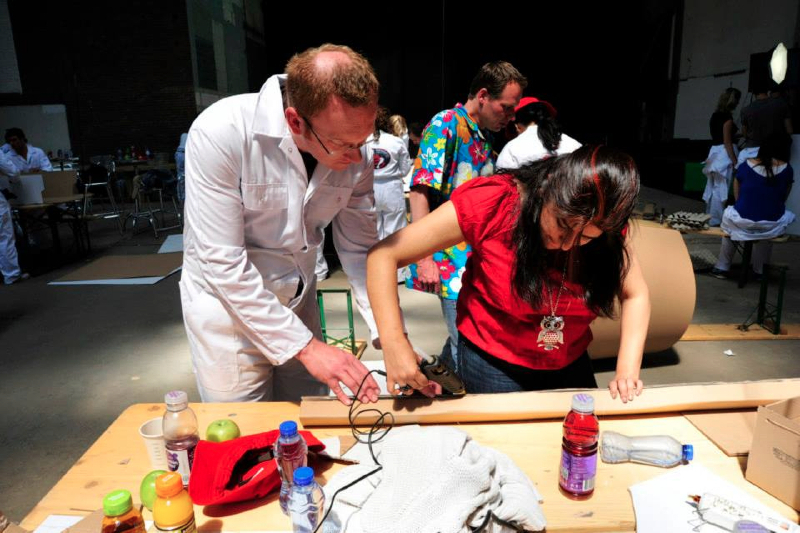 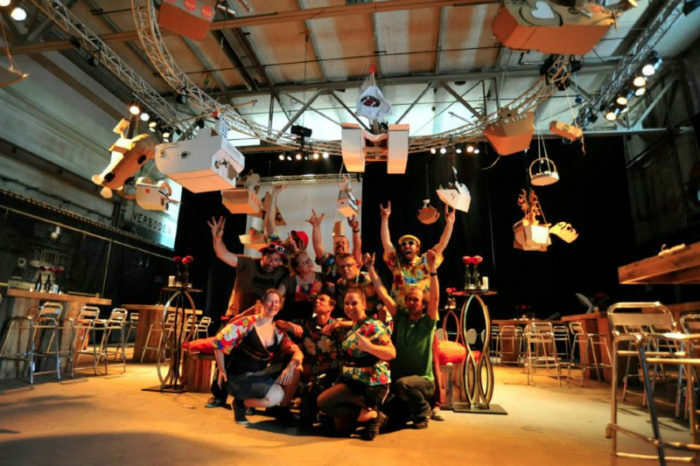 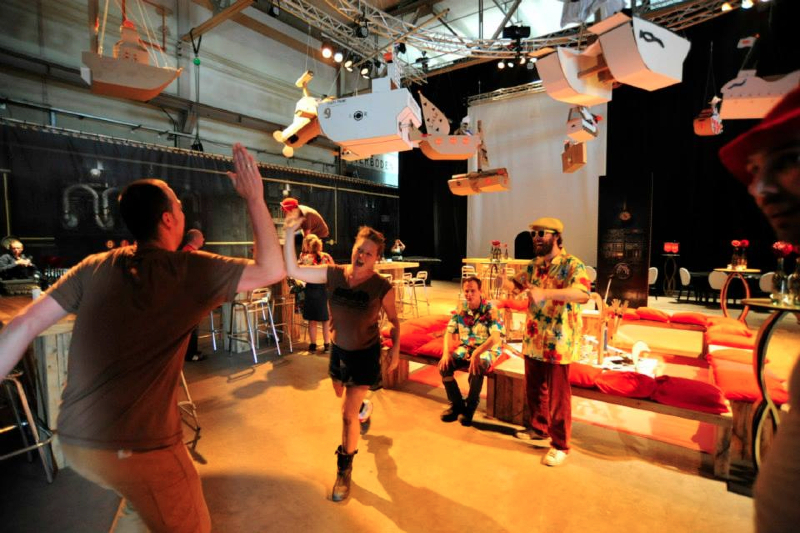 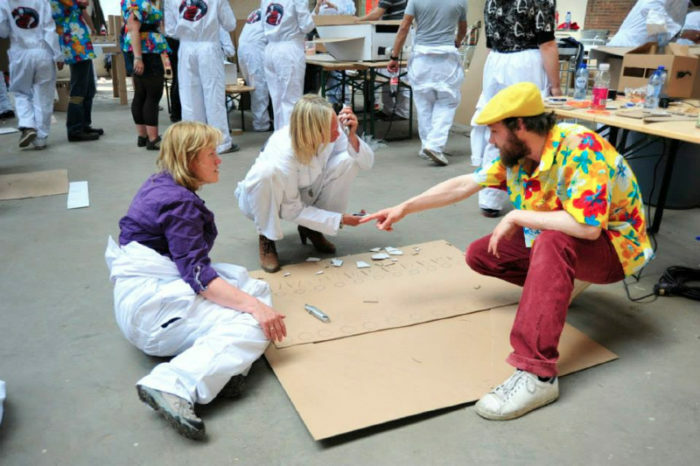 Want to people get creative at your event? 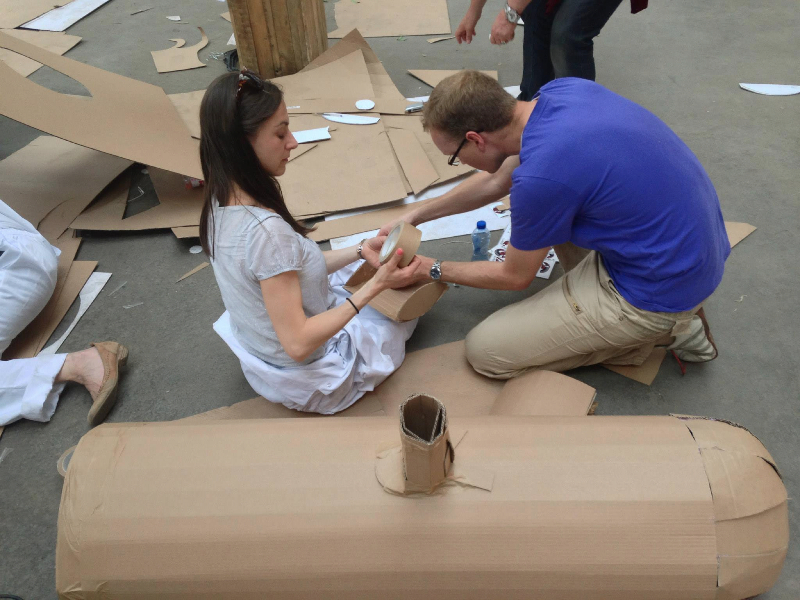 We are the artist duo Mr. & Mrs. Gray and working on a project paperboat. 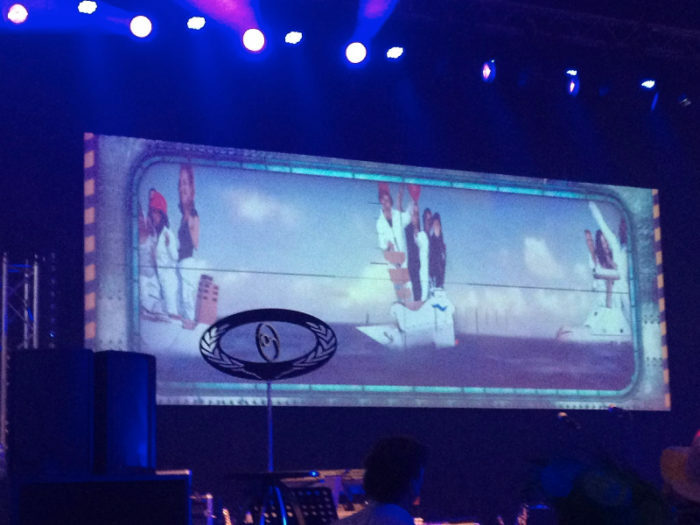 On the moment we sink after a minutes of 20. 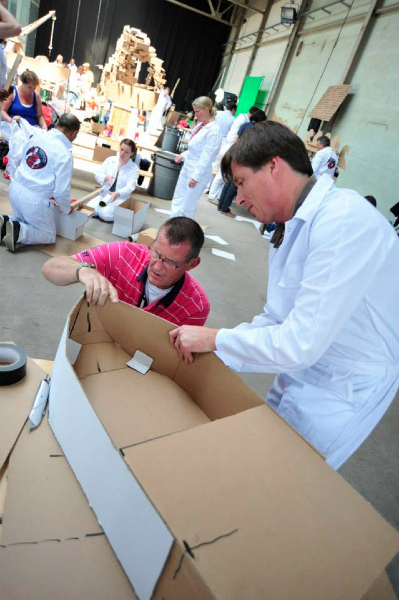 But we are still hopeful dat we can build a occeancruiser one day. Thank you! 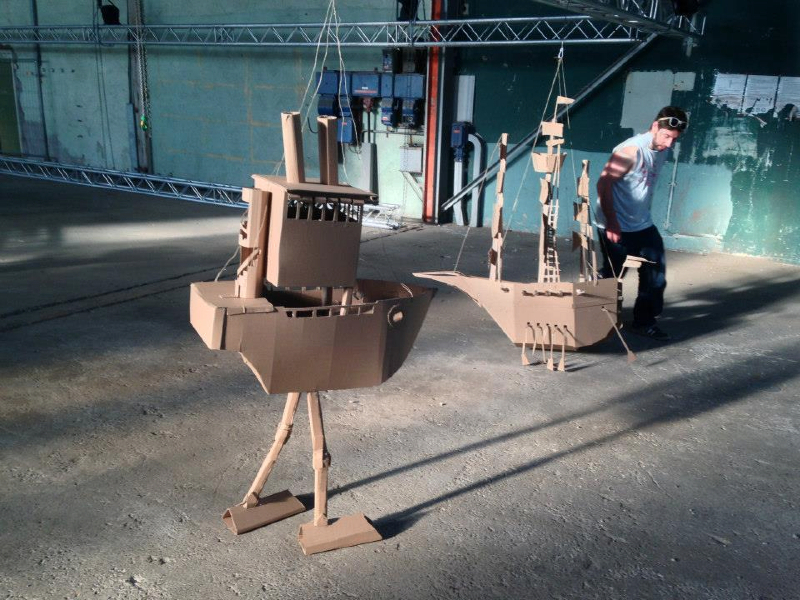 We actually will have a Regatta at the Lowlands Festival. 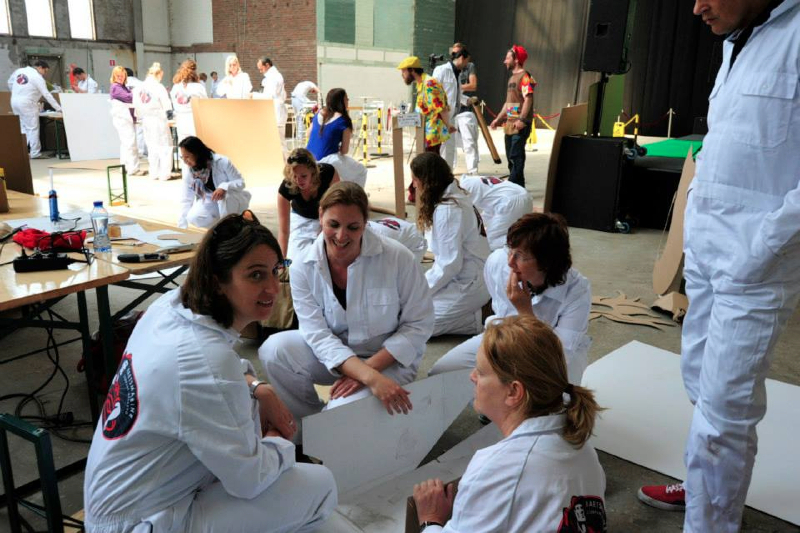 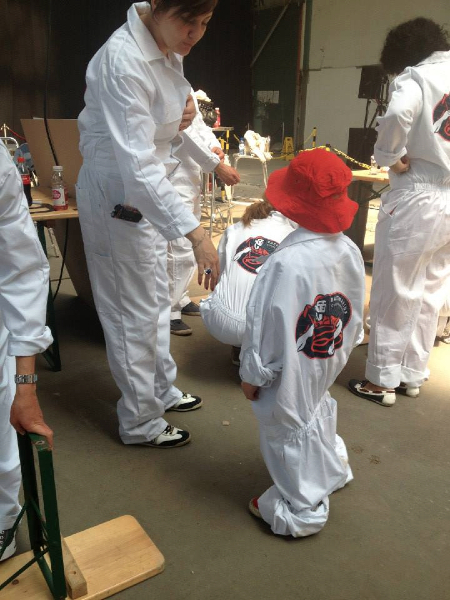 And we held one in Amsterdam last week! 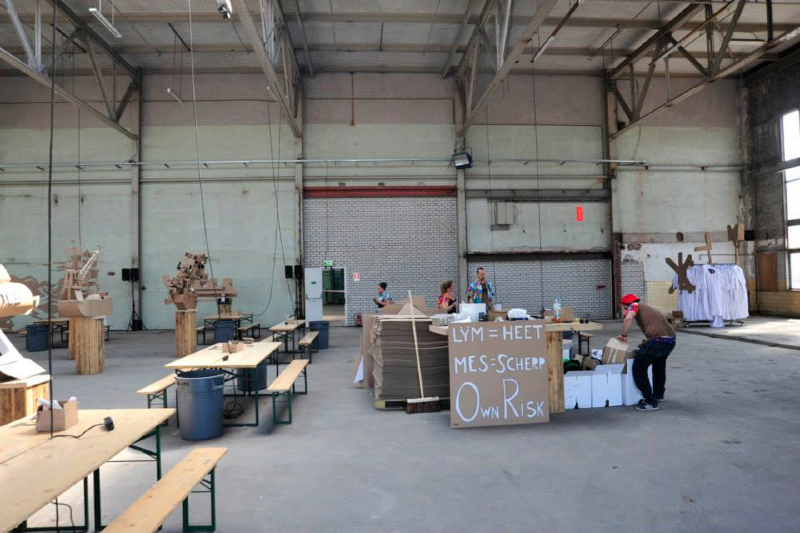 Please check our facebook. 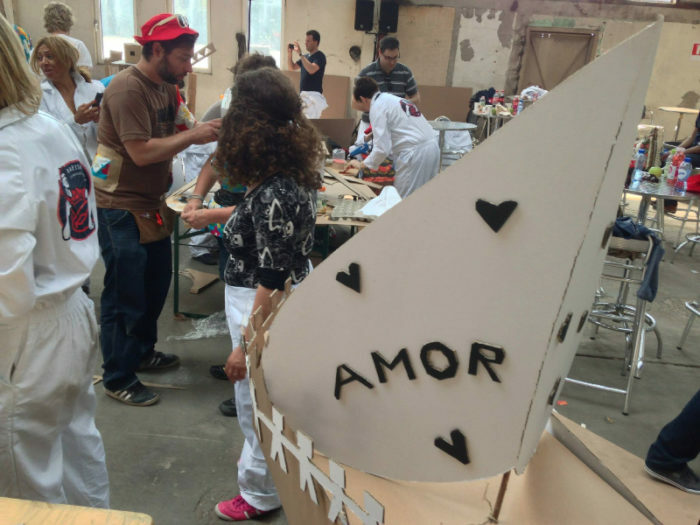 Your boat is beautiful!